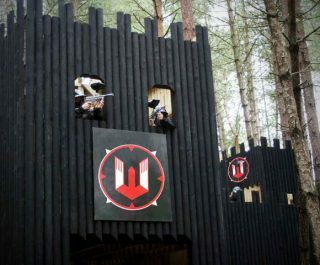 The Delta Force Westerham Paintball Centre in Kent welcomes players of all abilities and is conveniently located in dense woodland just minutes from the Clacket Lane services near Junction 6 of the M25. Perfect if you’re looking for paintballing in Kent. 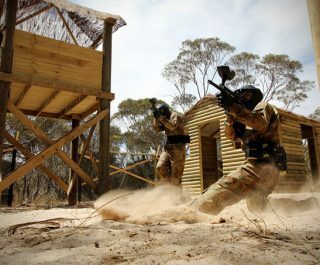 Just one of many Delta Force Paintball centres that service London and the surrounding areas, this particular venue has undergone a complete transformation in recent years to create movie-set quality game zones. 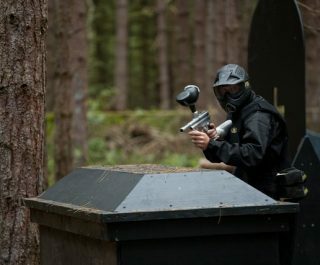 The Westerham Paintball Centre features seven exciting paintball game zones including the latest Gold Rush scenario set in the Wild West, complete with a mini village of themed shops such as a bank, saloon bar and many wine barrels to take cover behind. 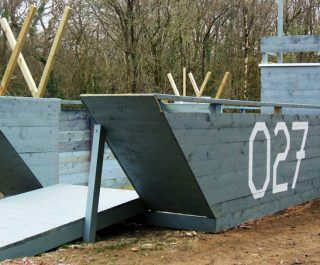 Also at this Kent paintballing centre is the London Apocalypse game zone that features the iconic double-decker buses and black cabs scattered around a deserted urban location. 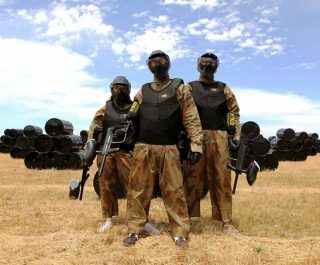 This centre is ideally located for those looking to play paintball just outside of the capital, in the South East or enjoy paintballing in Kent. Not only is the centre accessible via the M25 motorway, visitors can alternatively reach us via rail links from central London and Kent.